To celebrate the Japanese release of “9” here goes my first ever fanart. 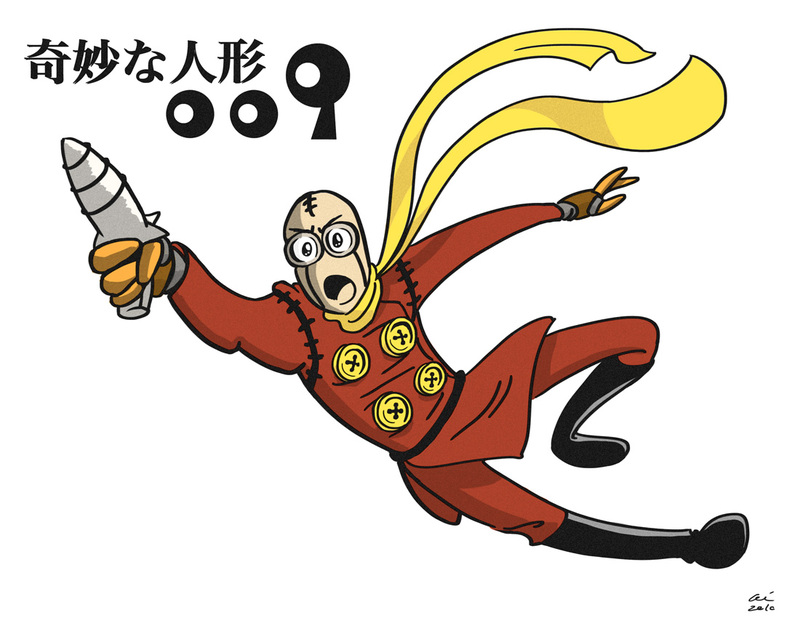 I’ve been joking around with my friend Patrick Awa about how someone in Japan needs to make a doujinshi mashup of “9” and the classic anime series “Cyborg 009”. Well, it’s been a while since the movie came out, and I’ve seen nothing of it, so Japan here it is. YOU’RE WELCOME! PS: This isn’t the super secret stuff I talked about in the previous post, but that is still on its way.